Improve your customer knowledge, manage customer risk, and enhance your ability to detect and report potentially suspicious activity with Verafin’s enterprise BSA/AML platform. Institutions are under increased regulatory pressure in the area of ongoing customer due diligence, particularly regarding the identification, risk scoring, and surveillance of FFIEC high-risk customer types. But with the sheer number of high-risk customers, the on-going assessment of this group is extremely challenging and CDD/EDD is being done in a way which results in process inefficiencies, wasted time and increased cost. Verafin reduces the compliance burden and improves efficiency by managing high-risk customers in a targeted way. Our intelligent risk categorization approach identifies, categorizes, stratifies, and actively monitors ongoing high-risk customer activity. This enables BSA/AML professionals to perform powerful and efficient ongoing due diligence that is in-line with the true risk the customer poses to the institution. 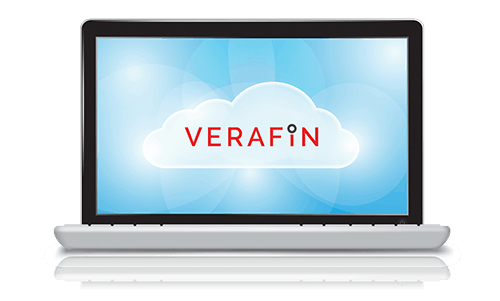 Verafin offers institutions a configurable Account Opening Questionnaire to collect information and alert back-office of newly onboarded high-risk customers. If high-risk accounts are not uncovered at account opening, Verafin’s High-Risk Customer Finders analytics will alert you of unknown high-risk customers hidden in your customer base. With a stratified approach, Verafin addresses how risk differs within each high-risk category of customers. By automatically risk scoring each high-risk customer relative to other customers in that category, and according to your preferred risk model, Verafin provides a more accurate risk profile that aligns with your institution’s risk appetite. With ongoing high-risk customer surveillance, Verafin monitors the activity of customers in each category for specific risk factors, and alerts investigators when additional scrutiny or adjustments to customers risk profile may be needed. Surveillance seamlessly integrates into the automated EDD workflow in Verafin to reduce your review workload for high-risk customers. Verafin’s fully integrated case management and EDD functionality help you easily create review workflows for your HRCs. You can establish review dates based on your institution’s policies, receive email reminders, assign tasks to other users, and attach relevant findings and documentation — all within Verafin. Managing risk is often a one size fits all approach, but not all high-risk customers are created equal. A local charity, for example, likely does not present the same level of risk to your institution as an international NGO. Verafin helps you define what risk means to you by providing configurable risk models that stratify risk across your entire customer base by category, and even within categories, such as MSBs, ATM Owners, and MRBs. This ensures you are reviewing the right customers at the right time and provides greater visibility to your examiner of your institution’s risk profile. Inefficient EDD processes result from a one-size-fits-all approach to risk that creates too many high-risk customers. Verafin increases efficiency in your end-to-end processes by automatically alerting you to high-risk accounts, and by grouping and stratifying those customers relative to their high-risk category. By continually monitoring activity and automating review cycles, Verafin reduces time spent on EDD reviews, allowing you to focus on only the high-risk customers that pose the greatest risk to your institution. Investigators with limited time, resources and information can find it challenging to accurately assess customer risk. Verafin integrates a wide range of open source and third-party data sources into analysis for enhanced CDD/EDD, alerts including High-Risk Customer Finders. These alerts reduce the time spent monitoring reports and spreadsheets, improving decision-making efforts and providing a better understanding of your customers and the risk they represent to your institution. Gain a more accurate assessment and understanding of your customer risk profile with Verafin’s intelligent risk categorization that reduces the compliance burden by managing high risk customers in a targeted way. Analytical models help you find previously unknown high-risk customers within your customer base, to properly assess, categorize, and manage them. Interested in learning more about Verafin's High-Risk Customer Management?